When you have bulk materials to store and handle, when is it best to stack them on the floor, and when do you need to move it to storage equipment like heavier racks? How can you safely and effectively stack these materials on the ground? OSHA offers some guidelines on the question from a safety perspective. When you do opt for either floor stacking or rack storage, what are some safeguards you should take? Items of all types should be stable and self supporting. Lumber: Adhere to OSHA’s guidelines for stacking heights: 16 feet (manually); 20 feet (forklift) maximum stacked heights. Remove screws and nails. Bags: Stack them in interlocking rows. Step back layers of bags as they’re stacked, and cross-key at least every 10 layers. Bars and Pipe: Don’t store in main aisles, to avoid creating a hazard to people passing by as loads are removed either by hand or forklift. Using a well-designed cantilever rack layout and employing good pedestrian safety and traffic management practices. Stack & block (or chock) these cylindrical loads to help prevent tilting. Use caution if you choose to use a building column for these purposes. If you do use a columns, paint them to indicate the maximum height a stacked load can reach. 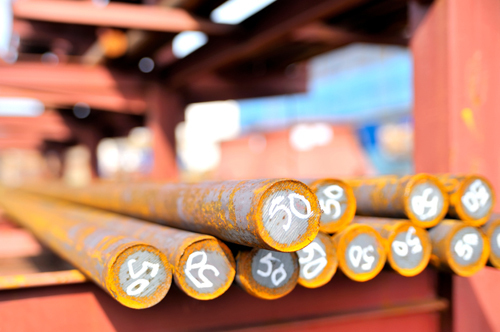 See “Picking Bar Stock, Steel, or Pipe: Rack Storage Options” for more information. Barrels and drums: Racks are much safer for these items, and allow higher storage density. If you must stack barrels, stack them systematically. Block the bottoms to prevent rolling. Use plywood, planks or pallets between each stacked tier to create a firm and flat surface for the next layer when you’re stacking on ends. Chock the bottom layer to help prevent shifting. Bales: Bales of rags or baled paper should be stored inside, not outside. Leave no less than 18 inches between bales and walls or other facility structures such as support columns. Leave adequate space (18″) between the top of a bale stack and sprinkler heads. Be sure that adequate fire prevention measures are taken with these loads. Boxed materials: Band, cross-tie with plastic fiber ties, or stretch-wrap boxes to help ensure stacks of them will remain stable. Stack like weight and size boxes together whenever possible. 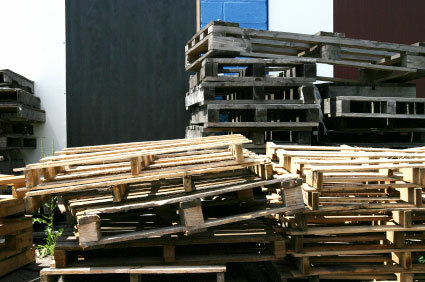 Pallets: Pallets are routinely stacked in warehousing operations as materials move through an operation. Handling stacked pallets is a topic in and of its own. See our guide on stacking pallets for more information. 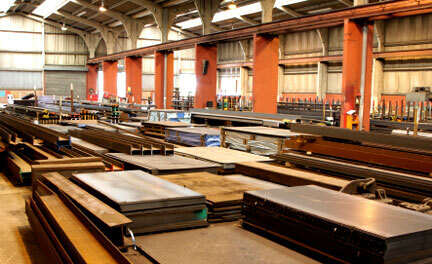 Sheet metal and heavy flat items: Sheets of steel or other metals are notoriously difficult to store. They do lend themselves to relatively easy stacking, but are hard to load/unload. Since they are heavy, bulky, relatively easy to damage, and have sharp edges, they’re an ergonomic and safety problem. See “Sheet Metal Storage Alternatives” for more information.